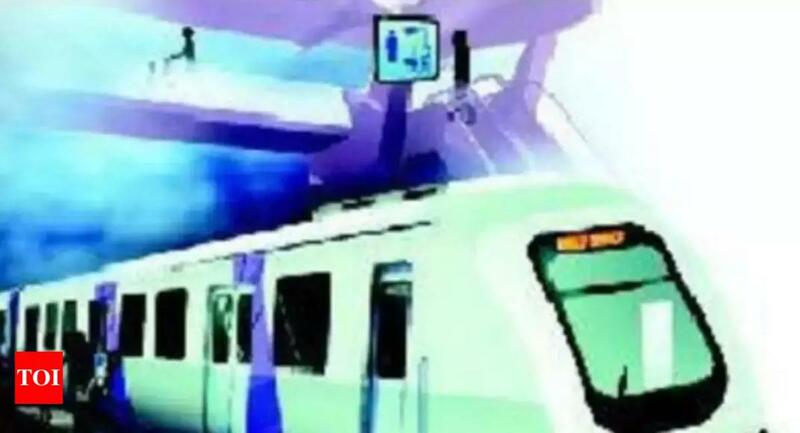 The state urban development and housing department (UDHD) has given another 15 days to the Rail India Technical and Economic Service (RITES), an executing agency of the Indian Railway, to finalise the detailed project report (DPR) for Patna metro rail. UDHD officials said on Friday the DPR, earlier scheduled to be submitted to the department by June 15, would now be submitted by June 30. After the state government's approval, it will be submitted to the Union ministry of urban development for final approval. targeted to start by the end of this year. It will take at least three years for completion of the first phase. Sources said the DPR deadline was extended to facilitate inclusion of a couple of ongoing infrastructure projects in the city. "For instance, we have asked RITES to incorporate Lohia Path Chakra project on Bailey Road so that the DPR does not need to be revised later," a UDHD official said. It will be a blessing for Patnites provided the central government does not play the political games . Patna needs metro very badly as it has become overpopulated and over polluted as well . According to him, several meetings on preliminary DPR have already been held. State UDHD minister Suresh Kumar Sharma also met Union minister of state with independent charge in the ministry of urban development Hardeep Singh Puri on June 7. Puri is learned to have assured Sharma that the Centre would give its approval to the DPR at the earliest. The UDHD official said the estimated outlay for the metro rail project was pegged at Rs 17,000 crore. "The Centre as well as state government will contribute 20% each of the project cost, while the remaining 60% will be procured from financial agencies at low interest rate," the official said.